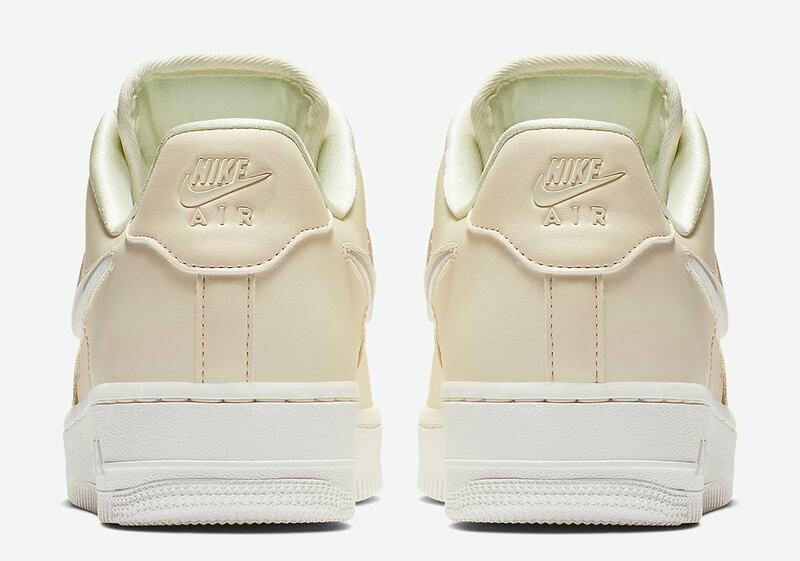 When it comes to their alternate branded embellishments, one of Nike’s favorite design quirks for their women’s shoes as of late has been a “Jelly Puff” Swoosh. 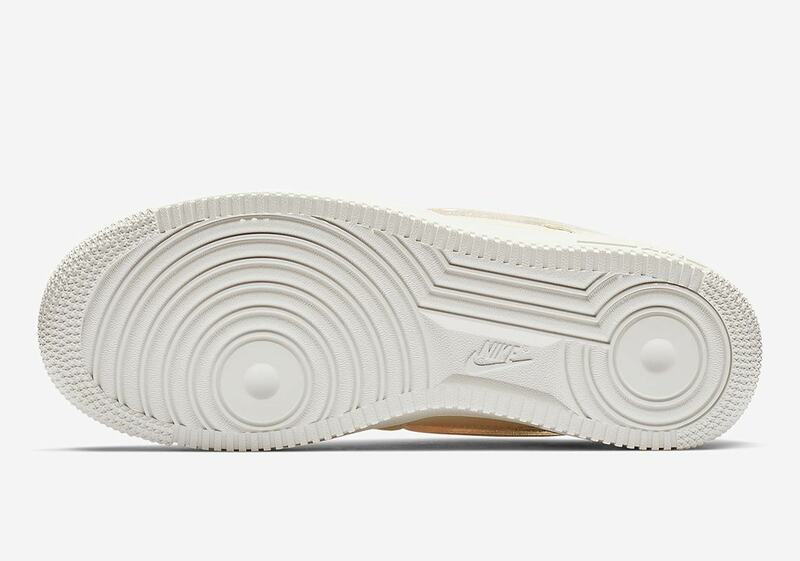 The large three-dimensional branded hit is both versatile — it can be adorned with a multitude of different colors and styles — and eye-catching, standing out both literally and figuratively from whatever shoe it’s placed on. 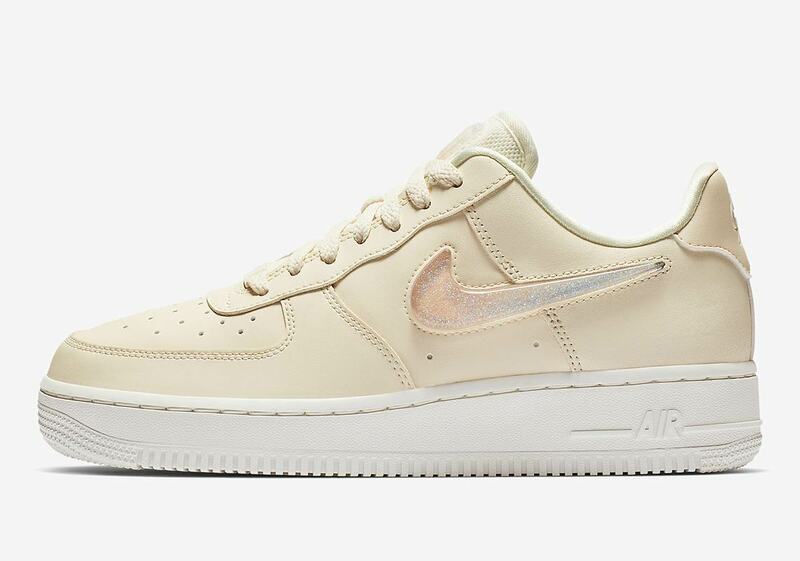 It’s already been seen on both the Air Max 1 and the Outbreak for the ladies as of late, and now it’s arriving on another women’s-only release: the Air Force 1 Low. 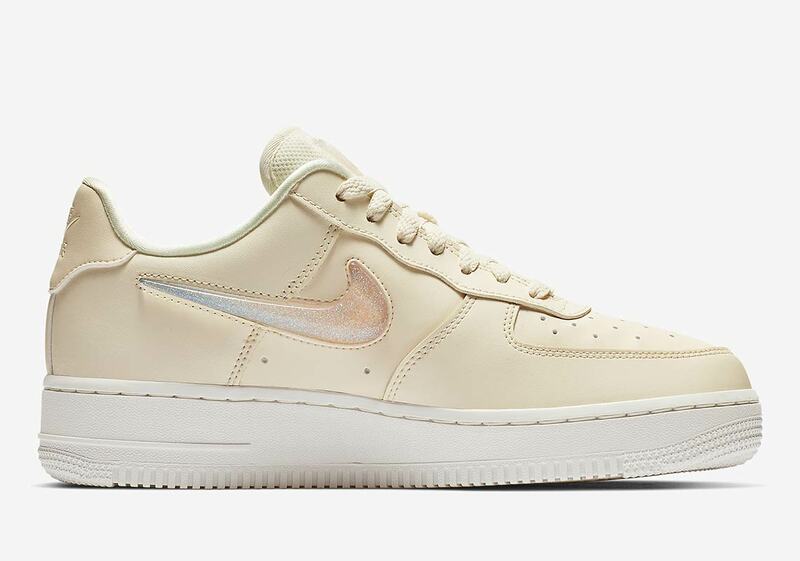 Using an elegant pale ivory leather for the upper, the shoe’s main design feature is its aforementioned “Jelly Puff” Swoosh — clear, with a plentiful helping of silver sparkles for detailing. 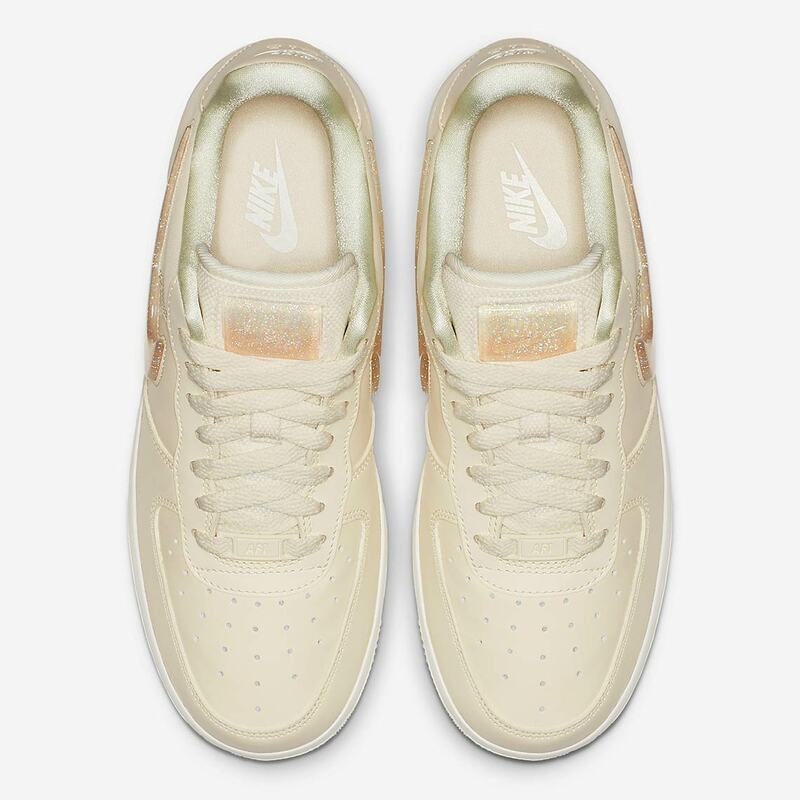 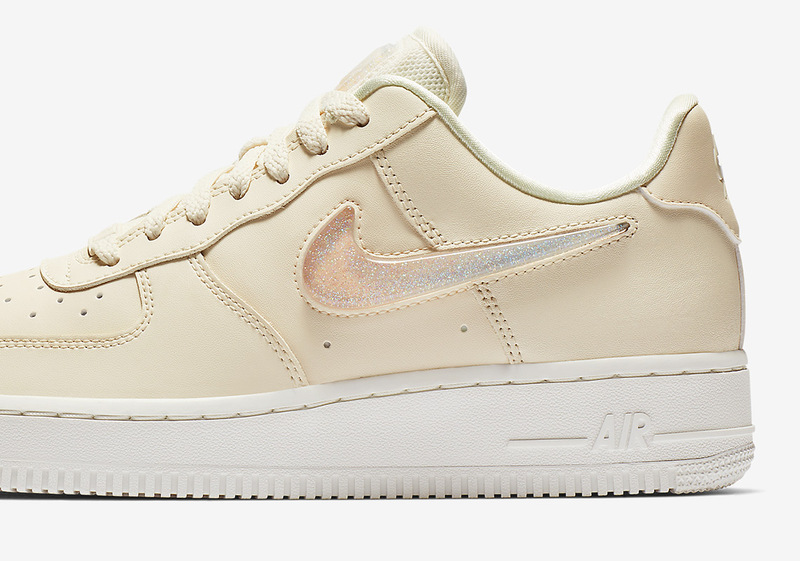 Further sparkling jelly detailing is present on the translucent tongue patch, and the shoe is then completed by a clean and classic white AF1 midsole. 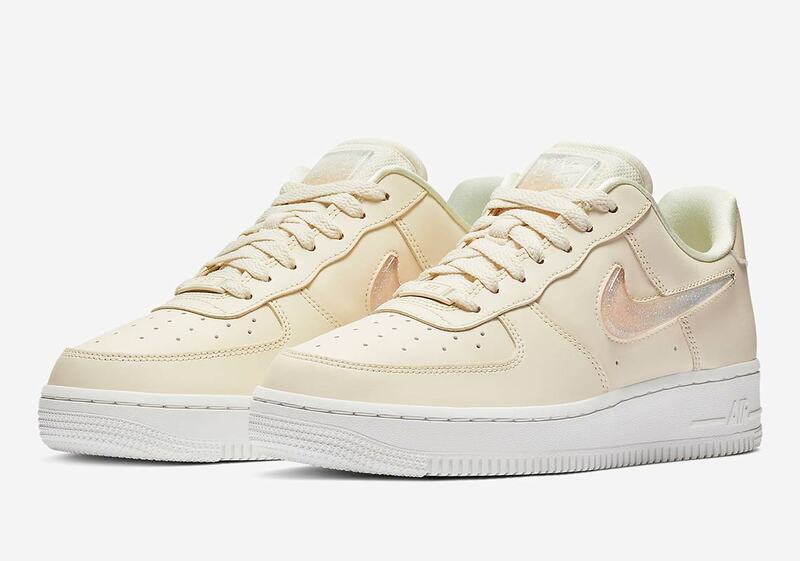 These new jelly joints for the ladies are available now, so check a store list below to see where you can secure a pair.